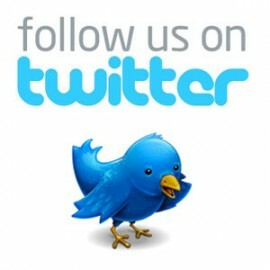 The Vatican has just announced that the Conclavce is to start on Tuesday March 12, 2013. After almost a week of consultations, the College of Cardinals has finally fixed a date for the beginning of the Conclave that will take place at the premises of the Sistine Chapel. As the week progressed, the question of a fundamental reform of the Curia, after the scandals that shattered the church in recent years, became a crucial issue among the Cardinals. This topic has become the central point in the negotiations. The negotiations to find a successor to Benedict XVI., are proving to be more difficult than expected, as indicated by the long wait for only the starting date. The Conclave to elect the new head of the Roman Catholic Church is preceded by intensive understandings and agreements between different “popemakers” in the General Congregations. Shepherd or diplomat, Italian or alien, conservative or reformer. 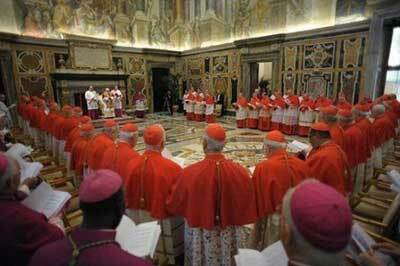 The Cardinals gathered in the Vatican want to set a date for the beginning of the Conclave to elect a new Pope this very day (Friday, March 8). The date would be announced in the evening, told the Vatican. The election of a new Pope will start probably early next week. “It could be Monday, Tuesday or Wednesday”, Vatican spokesman Federico Lombardi said earlier today. “We can assume that the Congregation is going to vote in its afternoon meeting on the date for the beginning of the Conclave”, told Lombardi. The Cardinals, assembled in the Papal States from all over the world, will meet again at 5:00 pm. The session will last until 7:00 p.m.. Currently, more than 150 Cardinals are meeting in the so-called General Congregations in the Vatican. At the time of resignation, 115 of them were younger than 80 years, making them eligible to elect a new Pope in the premises of the Sistine Chapel. The Cardinals gathered to prepare for the election, on Friday officially accepted the notice of removal of the two Cardinals Julius Riyadi Darmaatmadja from Jakarta and the Scotsman Keith Michael Patrick O’Brien. The Indonesians renounced for health-, the Archbishop of Edinburgh for “personal reasons” from participating in the Conclave. The Archbishop of Edinburgh and Saint Andrews, Cardinal Keith O’Brien, resigned today after allegations of “improper behavior” with young priests. He will not take part in the forthcoming conclave. 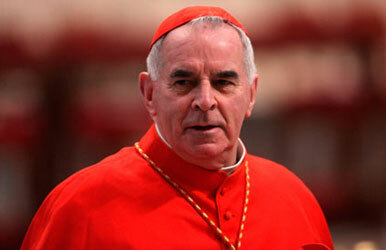 The highest ranking dignitary of the Catholic Church in Britain, Cardinal Keith O’Brien, has resigned. This was announced by the Catholic Church of Scotland on Monday. According to the release, Pope Benedict XVI. had already accepted the resignation on February 18. O’Brien himself announced the Pope had assigned his resignation as Archbishop of Saint Andrews and Edinburgh for February 25. 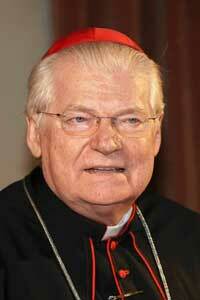 O’Brien had so far been among the 117 Cardinals who are eligible to vote in the election of the new Pope after the resignation announcement of Pope Benedict XVI. Now he declared he will not take part in the Conclave to the election. He justified his retirement with the fact, that he did not want to draw media attention in Rome on his person. These should be focused on Pope Benedikt and his successor. The 74-year-old is the only British clergyman who should belong to the conclave.